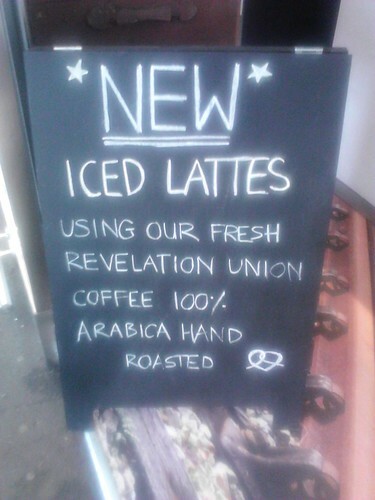 new ice lattes, a photo by Knot Pretzels on Flickr. Just in! 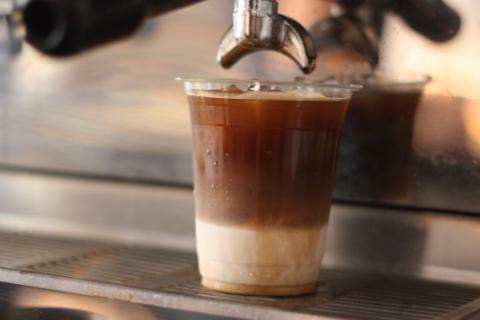 Come visit our Clapham Junction or Kingston Market stores to try our new iced lattes and Americanos. Made from the same espresso as our hot drinks, it’s just a delicious mix of milk, ice and espresso (or hold the milk with a possibility of vanilla syrup for the Americanos), perfect for a sunny summer day (ahem, if the drizzle ever stops, that is). We’ve done a lot of taste tests in the back before rolling them out, we promise they’re great!